Dr. Asriel attended medical School at the University of Louisville School of Medicine and Residency at the University of Florida Family Practice Residency. 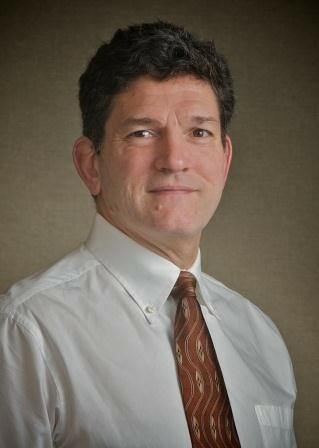 He worked two years with Group Health of Puget Sound in Seattle, WA and has 25 years in practice in Glasgow, Kentucky. Dr. Asriel also spent 12 years as Attending Physician /Clinical instructor at the University of Louisville Glasgow Family Medicine Residency. Family Medicine: Sara Cate, M.D., Micahlyn Powers, M.D., Kevin Walsh, M.D. Clinic: Community Health of Central Washington was established in 2008 and has been a WRITE site since 2017. The 32 members of the clinic staff include four board certified physicians, six family medicine residents, and one nurse practioner, providing care to over 15,000 patients annually. Physicians also serve as preceptors for students participating in the RUOP (Rural / Underserved Opportunities Program). The clinic has on-site pharmacy, WIC, First Steps, Children and Youth with Special Health Care Needs, Integrated Behavioral Health and Care Coordination services and in 2019 will be adding on-site dental care. Hospital: Kittitas Valley Healthcare is located at 603 South Chestnut, is a 25-bed critical access hospital providing services in areas including: obstetrics (with a family birthing place), 24-hour emergency and critical care, imaging, laboratory, inpatient and outpatient surgery, physical therapy, and respiratory care. 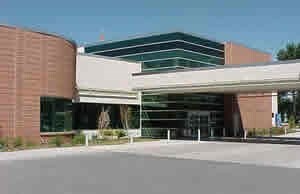 The hospital’s web site is http://www.kvhealthcare.org/. Nursing Home: Ellensburg has one nursing home – Prestige Care. Students will be scheduled in a Continuity Clinic with all providers where there will be access to electronic health records. In addition, students will participate in patients’ hospital care. Students have an opportunity to spend time with hospitalists and to participate in a community Free Clinic which is four days per month. Psychiatric components will be completed with continuity patients. 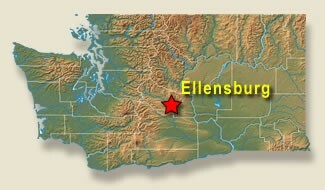 If you were to measure the length and width of Washington, the two lines would intersect at about Ellensburg. It is located on I-90 about 170 miles west of Spokane and 107 miles east of Seattle. To see a map of where we are located and/or get directions from other locations, go to maps.google.com (for directions, click “Get Directions” in the upper left-hand corner where you can input the starting address). The Ellensburg area can be reached by air via flights into Seattle (110 miles from Ellensburg); Spokane (174 miles from Ellensburg); or by a commuter flight into Yakima (35 miles away). Travel to Ellensburg is easiest by bus or auto. Student housing, located in residential area within walking distance of the hospital and clinic, is available to students on a shared basis. 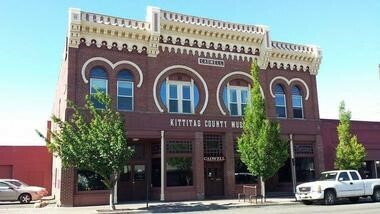 Ellensburg hosts just about any activity that interests you, these include dining, galleries, shopping, performing arts, or you can try angling with excellent fly-fishing, rafting, great bike, and hiking trails too. These activities are available all year round. Ellensburg hosts many unique local events that bring in many visitors to enjoy the historic ambiance of the city. The snowcapped Cascades, rolling foothills, rivers, alpine lakes, desert terrain and fertile valleys form a diverse landscape. The mountains screen much of the rainfall, giving Ellensburg a dry climate with four distinct seasons. There are about 300 days of sun per year and the average precipitation per year is 9”. Temperatures vary with the time of year: January ranges from 34° to 19° while July temperatures range from 83° to 53°.